My first visit to Provence was nearly 15 years ago. I was very young, but fortunately travelled enough to appreciate the beauty that shined brightly in this part of France. Since that time, I have joked (somewhat seriously!) that I would love to retire to that part of the world. Retirement is a long way off, so if I ever need a sensory reminder of the beauty of Provence, I simply head to my local L’Occitane store. I am instantly greeted with gorgeous imagery and aromas of the region … including lavender. I love the smell and rustic look of this special flower. My partner, A., has actually planted a few varieties in our garden for me to admire. (Love him!) So with my macaron month, I could not go past including a humble lavender inspired version. I was tempted to incorporate lavender with orange after reading about a quite delicious sounding lavender, orange and almond cake on Melissa’s beautiful blog, The Traveller’s Lunchbox. I also came across this flavour combination in macaron form by the talented Aran’s of Cannelle et Vanille. I was all prepared to embark on combining these flavours when I hit a bit of a snag. I carefully added the right amount of red and blue food colour to the macaron batter to create the perfect lavender tint, I carefully piped the batter and then sprinkled with lavender flowers. So far so good. All was working like a charm. But then I baked the macarons. After 15 minutes in the oven, the colour paled significantly. I ended up creating a lavender infused white chocolate cream as the filling so I could brighten the centre to enhance the flattened hue of the shell. I guess I will just have to taste the lavender / orange flavour another day. Overall, I was fairly happy with the macarons. The only comment I would make would be the shells were probably thicker than desirable. I believe I took the sugar syrup slightly too high in temperature – closer to 120C. My previously attempts were at a lower temperature. I will have to test that again, next time! Process the almond meal and icing sugar together. In a mixer, whip half the egg whites to soft peaks. Meanwhile, in a saucepan bring the water and sugar for the syrup to 117C (or 242F) on a candy thermometer. Once ready, slowly add the boiling syrup to the egg whites and continue to whip on medium speed until they thick and shiny and are completely cooled (about 10 minutes). At the final changes of whipping the meringue, add the food colouring to make a lavender colour. Mix the remaining egg whites to the sifted almond mixture and fold into the meringue in four parts. Pipe macarons on lined baking sheets. Sprinkle with lavender flowers. Double up your baking sheets if you do not have professional grade quality. Let your macarons sit at room temperature for 30-60 minutes. Bake at 140C or 280F for 15-18 minutes. Fill with ganache or filling of your choice. Refrigerate to set. Heat cream and lavender flowers until bubbles form around the edge of the pan. Let cool and rest for about an hour. Strain the lavender flowers from the cream. Reheat the cream gently and pour over the chocolate. Let sit for 2-3 minutes and then stir. Add food colouring to suit. Let cool then transfer to the refrigerator to thicken. I was reflecting on the macarons I saw throughout Paris at Pierre Hermé, Ladurée, Gérard Mulot, as well as those I made at Savour Chocolate and Patisserie school. I think part of the attraction of macarons for me is the bold, strong colour and favour combinations. So for my next macaron challenge, I wanted to be more daring in my selections. In searching my pantry I came across some rose water. I instantly knew that rose macarons would be the next feature. Combining the delicate rose flavour, along with some essential food colouring, would certainly produce quite an attractive shell. For the filling, I initially considered a nice simple vanilla buttercream. But after some thought, I considered complementing the rosy colour with a berry filling. I took some inspiration from Fanny at Foodbeam and one of her macaron posts, and raspberry cream was born. The macaron batter used was the same as the lemon macarons I made recently. The only key difference was resting time. I was able to let this batch sit for closer to an hour before baking. The outcome for these blushing delights? A slightly more prominent foot. You cannot be disappointed with that? Process the almond meal and icing sugar together. In a mixer, whip half the egg whites to soft peaks. Meanwhile, in a saucepan bring the water and sugar for the syrup to 117C (or 242F) on a candy thermometer. Once ready, slowly add the boiling syrup to the egg whites and continue to whip on medium speed until they thick and shiny and are completely cooled (about 10 minutes). At the final changes of whipping the meringue, add the food colouring and flavouring. Mix the remaining egg whites to the sifted almond mixture and fold into the meringue in four parts. Heat cream until bubbles form around the edge of the pan. Pour cream over the chocolate. Let sit for 2-3 minutes and then stir. Add the raspberry jam and continue until just mixed. Let cool then transfer to the refrigerator to thicken. I recently made a zesty lemon meringue cakefor my sister’s birthday. I borrowed from the flavours of that delicious cake for my next macaron experiment. I adapted the basic macaron recipe that I have been using with a few tarty enhancements. I added lemon juice in the meringue for a hint of flavouring, and some yellow food colouring to imitate the sunny shade of a lemon. I also made some more fundamental changes to the macaron batter. I omitted the sugar suggested to accompany the almond mixture – I found the sweetness of the last batch of macarons could be reduced. Also, I experimented and included some egg white powder. I have not used egg white powder before, and think it has certainly helped stabilise the mixture to produce a much improved shell. For the filling, I used the same lemon curd recipe from the cake. It has a perfect balance of sweetness and tartness that I thought would complement a fairly sweet macaron shell well. Process the almond meal and icing sugar together. In a mixer, whip half the egg whites to soft peaks. Meanwhile, in a saucepan bring the water and sugar for the syrup to 117C (or 242F) on a candy thermometer. Once ready, slowly add the boiling syrup to the egg whites and continue to whip on medium speed until they thick and shiny and are completely cooled (about 10 minutes). In the final minutes of whipping the meringue, add the lemon juice and food colouring. Mix the remaining egg whites to the sifted almond mixture and fold into the meringue in four parts. Pipe macarons on lined baking sheets. Double up your baking sheets if you do not have professional grade quality. Let your macarons sit at room temperature for 30 minutes. Bake at 140C or 280F for 15-18 minutes. Fill with lemon curd and refrigerate to set. Prepare an ice water bath; set aside. Whisk together the egg yolks and sugar in a medium heatproof bowl. Add the lemon juice, butter, and lemon zest. Place over a pan of simmering water and cook, whisking occasionally, until thick, about 15 minutes. Transfer bowl to ice water bath and let stand, stirring occasionally, until cool. Place a piece of plastic wrap directly on the surface of the curd. Transfer to refrigerator until completely cold, at least 2 hours and up to overnight. Today is Macaron Day (or Jour du Macaron) in France! Created by Pierre Hermé and other members of the prestigious Association Relais Desserts, le Jour du Macaron raises money and awareness for the Federation des Maladies Orphelines children’s charity. Today in Paris you can pick up four free macarons! at a Pierre Hermé boutique. In exchange, the lucky recipients are encouraged to make a donation to the charity. Unfortunately, Brisbane is too far away from Paris to take advantage of this dream event, so I look forward to seeing posts and pictures from other bloggers who were fortunate enough to participate today! In the meantime, I continue my macaron experiments in honour of celebrating my own macaron month! So far I have attempted mint chocolate macarons and café au lait macarons. This week, I think lemon and raspberry flavours may feature strongly. Souhaitez-moi bonne chance … and happy macaron day! When I made the mint chocolate macarons, I split the mixture to create a second version. I decided to lightly mix through some ground coffee to try and create a different flavour and finish. Interestingly, the shells seemed less fragile than the mint version even though they were made from the same mixture. I can only conclude it was due to the rest time – they were the second batch in the oven. To complement the coffee flecked shells, I made a mocha ganache for the filling. I love chocolate and cannot remember never enjoying coffee, so a perfect combination for me! I was much happier with the results … but still a long way to go. I will persevere with the Italian meringue method. Given many of the recipes and techniques I have found are similar, my instinct is to keep those elements constant and continue to practise while experimenting with flavours. Hopefully I will be able to look back and observe improvements! Process the almond meal and icing sugar together. In a mixer, whip half the egg whites to soft peaks. Meanwhile, in a saucepan bring the water and sugar for the syrup to 117C (or 242F) on a candy thermometer. Once ready, slowly add the boiling syrup to the egg whites and continue to whip on medium speed until they thick and shiny and are completely cooled (about 10 minutes). Mix the remaining egg whites to the sifted almond mixture and fold into the meringue in four parts. Lightly fold through ground coffee. Pipe macarons on lined baking sheets. Double up your baking sheets if you do not have professional grade quality. Let your macarons sit at room temperature for 30 minutes. Bake at 140C or 280F for 15-18 minutes. Fill with ganache or filling of your choice. Heat cream until bubbles form around the edge of the pan. Pour cream over the chocolate and ground coffee. Let sit for 2-3 minutes and then stir. Let cool then transfer to the refrigerator to thicken. My first experimental batch of macarons for this month is with the Italian meringue (sucre cuit method). I borrowed from Mercotte’s recipe that is favoured by Tartelette, and strongly resembles the quantities and techniques used by Pierre Hermé. Unfortunately … I was disappointed in the outcome. Probably not surprising my maiden effort with the Italian meringue method was disappointing. In addition to being pretty heavy-handed in the kitchen (never good when making meringue! ), I did also take a few short cuts. 1) I did not use eggs that had been separated ahead of time. 2) I did not dry out my almond meal. And 3) I did not wait after piping to put the macarons in the oven. But that is all part of the experiment, I guess. The resulting shells were sort of smooth (though a far far cry from the little treats I savoured in France!). They were also the most fragile I have made. They certainly had the right texture though – a crisp outer shell and soft centre – and the taste was lovely, too. All in all, worth the effort. But chalk this up to being a record of (hopefully) mastering the techniques over time. Process the almond meal and icing sugar together. In a mixer, whip half the egg whites to soft peaks. Meanwhile, in a saucepan bring the water and sugar for the syrup to 117C (or 242F) on a candy thermometer. Once ready, slowly add the boiling syrup to the egg whites and continue to whip on medium speed until they thick and shiny and are completely cooled (about 10 minutes). Mix the remaining egg whites to the sifted almond mixture and fold into the meringue in four parts. Heat cream and mint until bubbles form around the edge of the pan. Pour cream through strainer, over the chocolate. Let sit for 2-3 minutes and then stir. Let cool then transfer to the refrigerator to thicken. March 20 is Macaron Day (or Jour du Macaron) in France. I love macarons and adore the idea of having a celebratory day in honour of these elusive little treats (and doubly a great idea as it is a charitable cause!). I think I have researched all I can on macarons; I have attended classes, conferred with patisserie professionals, viewed behind the scenes macaron secretsin Paris, delved into blogs and references sites around the world, and poured over instructional texts on the subject. Time for researching is over. 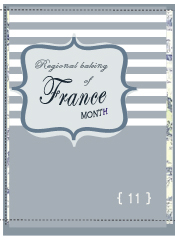 It is now time for serious doing – and my own little macaron month will be perfect for that. I have attempted to synthesise all my research – and taking some recent inspiration from my all-day macaron extravaganza class – hope to successfully attempt a range of different macaron techniques and recipes this month. For a sneak peek, I share with you a unique presentation of a caramel macaron from Savour Chocolate and Patisserie school in Melbourne, where I recently attended a macaron class. I made sure I returned to Brisbane with a sample of this macaron for my Latin American friend, K – she is obsessed with caramel! Fittingly, this macaron was made using the Spanish method. An impressive airbrushing technique transformed this plain almond shell and caramel filling into un dramático caramel macaron .. muchas gracias! At Savour Chocolate and Patisserie school, we made six different macarons using a range of techniques (French, Spanish, Italian). I was heartened by the fact not every batch was perfect. Even with a highly trained professional involved in coaching and monitoring the whole process, it was easy to end up with a tray (or two!) of macawrongs! To recreate the caramel macaron at home, you may have to pass on the airbrushing. Perhaps a slightly less dramatic visual presentation, but hopefully not a reduction in taste. Sift TPT with the icing sugar. Whisk egg whites and caster sugar in three batches. Add the scraped vanilla bean. Continue mixing until stiff peaks stage. Slowly incorporate dry ingredients into the meringue. Bake at 165C for approximately 10 minutes. When cool, sandwich two shells together with caramel cream. Bring sugar to a dark colour. Add boiling cream and cover when cool. Add slowly to whipped butter.